I own and operate a Houston-based boutique law firm that helps people establish their businesses, protect their names, and keep their profits. I love love love working with entrepreneurs. I especially enjoy creatives in the fashion and beauty industries as they bring beauty into the world using their God given gifts and talents. I help them register trademarks, create corporations and LLCs and stay aware of different legal developments. One of the ways I’ve done this is with my weekly live broadcast called Ask Temi Live! With this show, I help people understand their legal rights in the business world so that they can begin to make better… read more business decisions. "“Temi was great in explaining and helping me understand my situation and best options moving foreword. She made me feel very comfortable and she’s very thorough and efficient with her time. 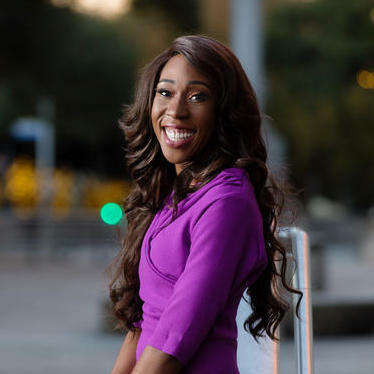 I would definitely recommend her to any one in need of legal help or advice!”"
I represent and advise individuals in personal and business legal matters through out the Houston area. I've worked with Healthcare professionals, photographers, authors, and record labels to name a few. I assisted in the preparation of various applications for immigration benefits, including, but not limited to green cards, naturalization, deferred action for childhood arrivals (DACA), family-based adjustment of status, and asylum. I provided consistent and effective client communication on behalf of the law firm.